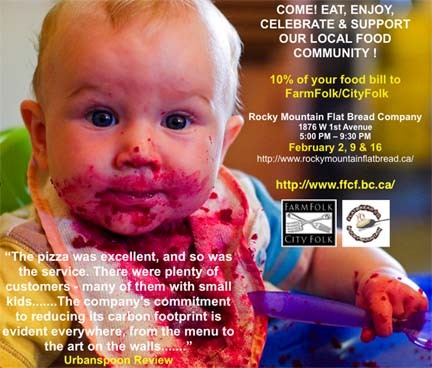 Rocky Mountain Flatbread is hosting three share-the-proceeds events with Farm Folk/City Folk on February 2, 9 and 16, 2010. Rocky Mountain Flatbread has long been a supporter of eating local — they source much of the ingredients for their menu from local farmers. Fund raise painlessly while you enjoy local and delicious eats. This entry was posted in Events, Organizations and tagged Farm Folk City Folk, fundraiser, Rocky Mountain Flatbread on January 28, 2010 by local delicious. If you’re a gardener with a year or two under your belt and are ready to expand your horizons, maybe you’d like to learn how to expand the growing season. Instructor Heather Johnstone has spent years learning with organic farmers on the west coast and is now working with home-scale urban gardeners to help them grow food. She is the coordinator of the Edible Garden Project on Vancouver’s North Shore and has recently joined the Board of FarmFolk/CityFolk. The cost of the workshop is $20, with proceeds going to The Land Conservancy of British Columbia. Pre-registration is required: phone 604-733-2313 or email lralph@conservancy.bc.ca to register. 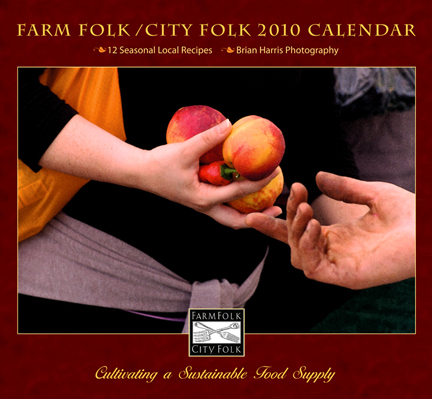 This entry was posted in Events, Urban Gardening and tagged Edible Garden Project, Farm Folk City Folk, gardening workshops, growing winter vegetables, Land Conservancy of British Columbia on June 4, 2009 by local delicious.